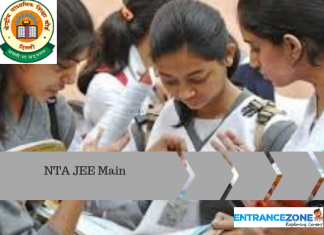 Home JEE Advanced - Joint Entrance Examination How to prepare for JEE Advanced 2019 after JEE Main? How to prepare for JEE Advanced 2019 after JEE Main? First of all, Congratulations on clearing one of the toughest technical exams in the country. You certainly deserve to distribute those sweets to your family and relatives but while doing that keep in your mind that you have THE toughest technical exam in the country ahead of you. You certainly are one among those lac technical students in the country who has a certain enthusiasm for the science stream. But you are and was aiming to be one of those few thousand technical wizards. So you will have to convert that enthusiasm into mania. For only mania creates magic. You are one among many who can survive the turbulent science “stream” with a raft. But you want to be among those few who can easily swim through it because they are done providing rafts. So I’m trying to make you feel proud for winning the battle but remember that the opposite army only sent the vanguard and the war is still there to be fought. And for more details of JEE Advanced 2019 after JEE Main read below in the article. As per new rule by National Testing Agency, highest score from JEE Main January and JEE Main April will be considered for JEE Advanced 2019. You have one month before the JEE advance exam. One might easily think it to be insignificant compared to those two years you have given to this. But I think I won’t be able to press this point enough in this article that this one month can make a world of difference in your chances of cracking JEE advance. You certainly need to revise that massive course again for the exam but this time take an extra intelligent approach to it. And I will tell you just how. So let’s jump to analyse your present situation and the key points that you will be needing to work on during that 1 month. You must have revised the whole course a couple of times already, now it’s time to stop doing that and test your revision and analyse your mistakes in doing that. Purchase sample questions on each topic of each subject. Solve them while analysing which topics, which parts of topics, which particular formula, chemical reaction or concept are you having problems solving or you are making mistakes in. Ask doubts regarding them to your teachers and bookmark those formulas and reactions, paste them on your wall or table. Revise just them again and again not the whole syllabus. The three subjects you have been worshipping for 2 years may have some similarities or intersections or common topics between them but they are absolutely different from each other. 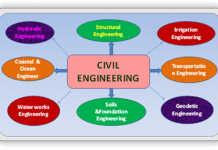 Different skills and interest points are required to solve the questions in each of the subjects. But I’m sure you will be a close friend with one of them. Either you get the instantaneous knowledge of just what the trick is to solve a particular mathematical problem or you have all the chemicals and their properties and reactions they indulge in memorised or you understand all the concepts of physics and solve problems in few moments. Either you can do 2-digits multiplications on hand or the periodic table is always in front of your eyes or you instantly know just how fast the monkey will climb down the rope. Make that one particular subject your strength and try through several sample papers to complete that subject in at least half an hour. Gulp down all the formulas and things to remember of that subject down your throat. Make the enemy yours again – That one subject which might have turned against you in these two years will have a significant effect on your chances. Make him a friend again. Solve various kinds of problems of that subject more often than others. Give your Sundays to it. Clear your doubts and concepts regarding this subject. Remember that every student has one subject as his strength but only ones who befriend their enemy subject are able to crack JEE advance. Spend as much time as possible in doubt classes on this subject. You should make yourself habitual by now with the time limit, that peer pressure and that adrenaline rush. For that, you will have to reenact the exam environment in your room. 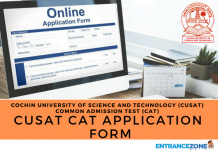 And for that purchase, various kinds of sample paper, papers of JEE advance and other similar exams of last years, print some from online portals because they will be the most recent, and take these tests with a stopwatch in your room restraining yourself from any help from books or notes. Analyse your time control, mistakes you are making, negative marking etc after every test. And try not to make the same mistakes in the future. The OMR training – Train yourself with filling the OMR sheet properly and accurately with keeping in mind the time limit. You can practice filling the OMR while taking your sample papers by purchasing some OMR sheets or making them easily at home. You certainly don’t want to fill it incorrectly or leave it unfilled because of the lack of time at the end of the paper. So decide properly when to fill the OMR during the paper. Few students fill the OMR after solving each question which might be time taking. Few fill the whole of it at the end which might be risking. So I suggest you fill the OMR after completing every subject. It will give you a small mild break and give your mind time to enter the zone of the next subject. In any case, the final OMR filling plan should be according to your own comfort. But make sure you make a final full proof plan. Plan the paper- All the hard work and infinite efforts of two straight years depend upon those 6 hours, so it’s highly important that you attempt both the papers with your full capacity and capability. For that make an intelligent plan in which you will attempt each of the paper. One of the most trusted plans is that you attempt your strength subject first and finish it in half an hour or at most 45 mins, then rest of the subjects with your enemy subject at the end. 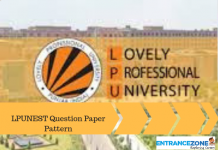 Also, make sure you visit the whole paper while leaving the questions you are not much confident about or the ones you feel to be lengthy and solving the ones you are confident about. Once after visiting the whole paper in this manner, you make the second visit and this time solve those lengthy ones. You may also repeat the process having the third visit. This way of filtering questions might be very effective and less risking because the questions you might not have time to attempt in the end are the ones you are not confident about at all anyway. This way ensuring all easy questions are well attempted. Exploit Organic chemistry – Now this point might be a little from personal experience hence might not apply on you, but if you find organic chemistry too easy as you will only have to mug up a few important chemical reactions and reagents and processes then you can exploit it and attempt every question of it in less than 10 mins. Prepare your mind- Last of all, but the most fatal if not given attention to. Prepare your mind for that 6 hours of roller-coaster ride where the train is ever falling with high speed. Learn to cope with the peer pressure. Be healthy by all means at the time of the exam. Don’t sweat too much that you might ruin the OMR sheet. Spend the month keeping these points in mind and following them and you are good to go. Go and crack the skull of JEE advance open.